A new ticket booth for Shoreline Sightseeing was finished earlier this summer. This permanent, all-metal structure replaced a temporary kiosk and was designed to blend in with similar park structures. 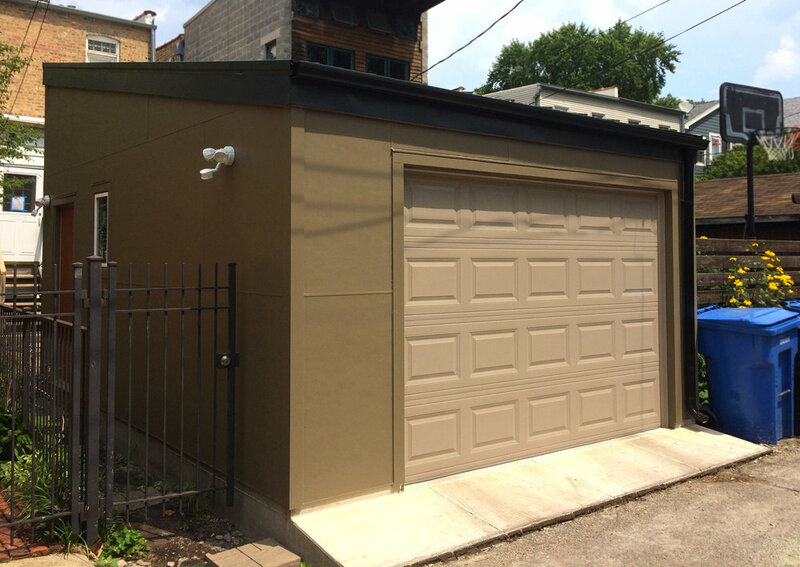 A new garage for our next-door neighbor. New interior stairs in a Chicago high rise. Replaced rickety spiral staircase for better access to rooftop pool.